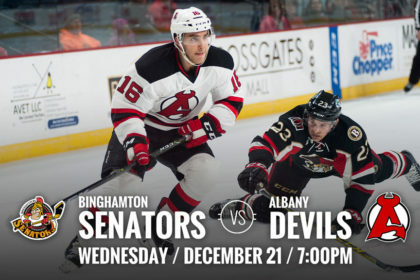 ALBANY, NY — The Albany Devils return to Times Union Center for the holiday season, coming off a weekend split at Toronto. 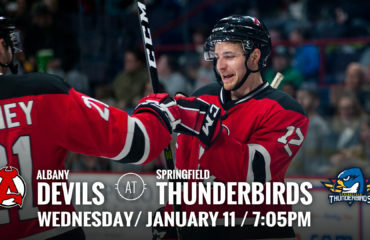 They begin a three game home stand to end the calendar year, starting against the Binghamton Senators Wednesday at 7 pm. This will be the fifth of eight meetings between the two teams and the last at Times Union Center this season. Blandisi, Gibbons lead against Bingo: Joe Blandisi and Brian Gibbons have the most points against the Senators in the four meetings so far this season. Blandisi leads with four points (1g-3a) and Gibbons has three points (2g-1a). Camper Watch: Carter Camper is back practicing with the team after missing 25 games with an upper-body injury. 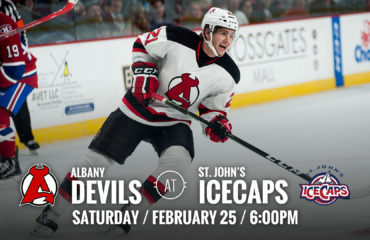 His last game was Oct. 21 against the Senators at Times Union Center where Albany came out on top, 3-2, in a shootout. Last Game Before Break: Wednesday’s match up will be the last before the team breaks for the holidays. 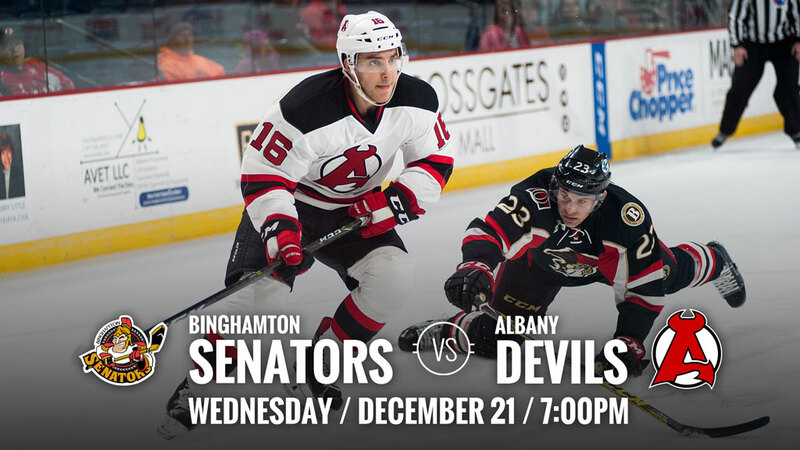 They will have off until Dec 26 when they face the Providence Bruins at Times Union Center at 7 pm.